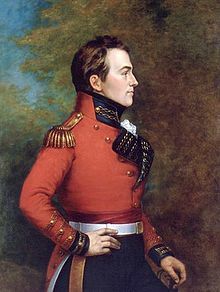 The Isaac Brock Society | FATCA Repeal Update: The action to take right now! As the deadline for MOCs to sign the letter is 3 August 2018, you can support the hearing by contacting your representative and requesting that he/she sign the letter. THIS MUST BE DONE NOW!!!!! Thank you, in advance for taking action. 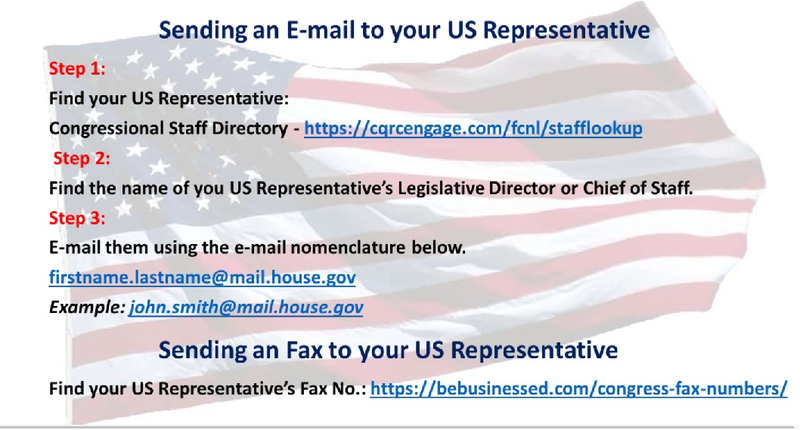 2) E-mail them, with the letter somehow attached (which will surely have such e-mails flagged as potential viruses), and ask them to sign the letter to send to the Ways & Means Committee. Or fax to them, if one possesses an antique piece of equipment called a fax machine. Is this correct? If so, I wish someone would have spelt this out more bluntly, not just here, but at IRS Medic, and on the American Expats Facebook group. My apologies. I meant to come back and add to the post but got busy and forgot. It’s kind of confusing, I agree. Basically you write to your Congressperson, referring to the “Dear colleague” letter (top) that they received on July 17, asking them to sign the bottom letter and send to Ways and Means. The deadline for your congressperson to send the letter to W&M is August 3. BB: Thanks for spear-heading this latest campaign. We can only hope this one will will land on soil more fertile than previous efforts! Gotta keep tryin’! It’s not in my nature to just sit around and complain about things, I have to take action! Where are Democrats Abroad, ACA and Republicans Overseas on this effort? I realize that DA and ACA might actually do more harm than good with their support of same country exemption, but a hearing is better than no hearing – even with that risk. 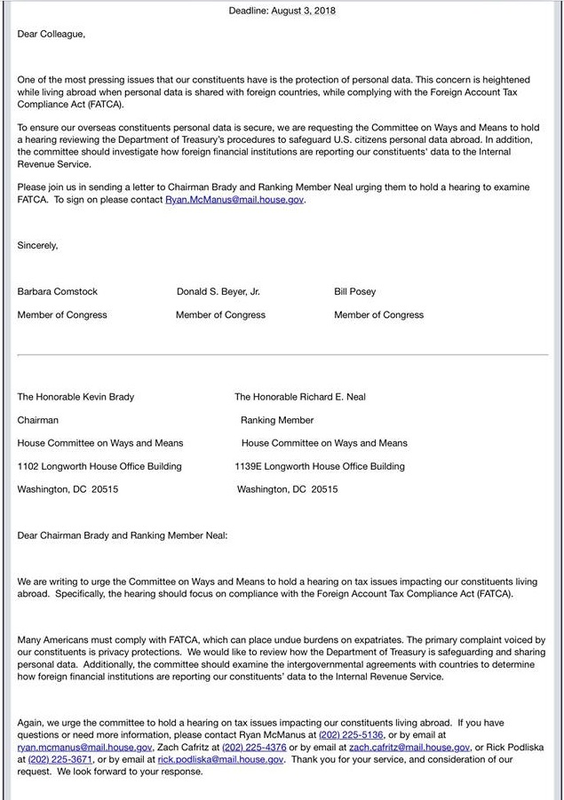 What I really eventually want is a hearing that addresses all the issues facing Americans abroad, and a FATCA hearing could lead to that.